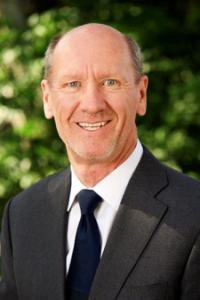 Douglas L. Nelson, CPA, PFS is an advisor and chairman of TCI Wealth Advisors (”TCI”). Doug has received numerous national recognitions based upon his belief that investment success involves integrating clients’ lifestyle goals with their investment plans. During the last decade, Worth, Barron’s, and Bloomberg Magazine regularly recognized Doug’s work as one of the top, independent financial advisors in the nation. In 2011, Doug published the book Art, Artists & Money, available at artartistsmoney.com, with the goal of helping creative professionals better understand their financial options as artists. Elizabeth Roghair has been a member of the SAR board since 2013. She chairs the Nomination and Governance committee and is interim chair of the Finance Committee. Elizabeth is a retired CPA and serves as treasurer of the Eldorado Area Water and Sanitation District. Her early career was in corporate and public finance on the East coast; her second career was in charitable gift planning in educational, health care and museum settings in the Chicago area. She retired from Northwestern University and moved in 2010 with her husband James to Santa Fe, where she offers consultation and training to nonprofits on organization development and gift planning topics. She earned an MBA from New York University and a BA from the College of Wooster, Ohio. 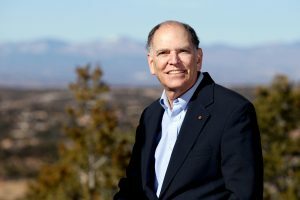 Joe Colvin graduated from the University of New Mexico in 1969 with a BS degree in electrical engineering and a MS degree in nuclear engineering. He later attended the Harvard Business School Advanced Management Program. Joe retired in 2005 having served as the President and CEO of the Nuclear Energy Institute, Inc. in Washington, D.C. for 22 years. He also served as president and CEO of two other utility companies with a strong focus on the peaceful uses of nuclear energy to generate emission-free electricity. Joe had a distinguished career as a Naval nuclear submarine officer, serving on seven submarines during his 22-year service to our country. 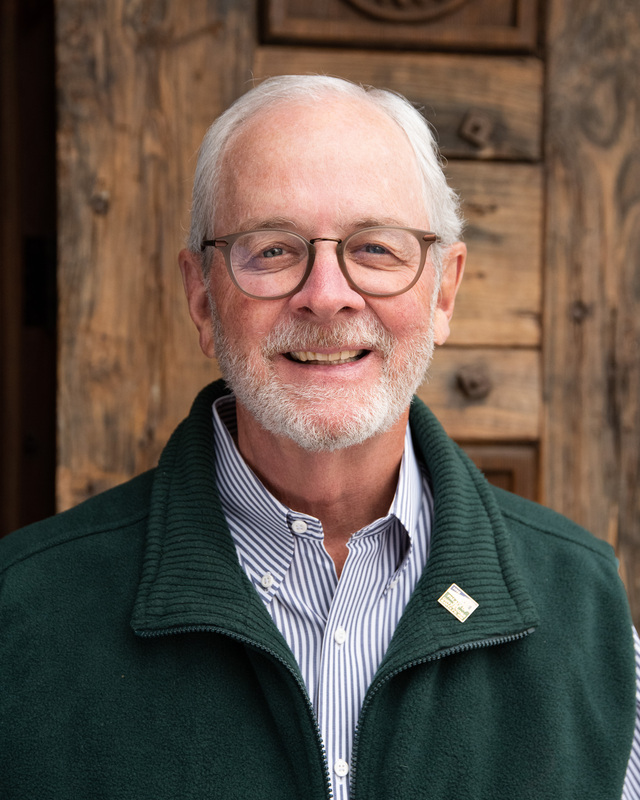 Joe is very involved in the Santa Fe community, having served as president of the Club at Las Campanas for three years and on the board of the Cancer Foundation for New Mexico. Nancy F. Bern retired from International Business Machines (IBM) where she worked as a Client Executive for American Express and AXA Financial. Previously, she was a Senior Vice President of John Hancock Group Insurance in Boston, MA. Nancy received her JD from Suffolk University Law School, an MBA from Boston University, and a BA in Economics & Business Administration from Vanderbilt University. Nancy has served as a board member of several organizations including the Huntington Theatre and the New England Conservatory in Boston, MA. She currently serves on the board of the New Mexico Women for the Arts. 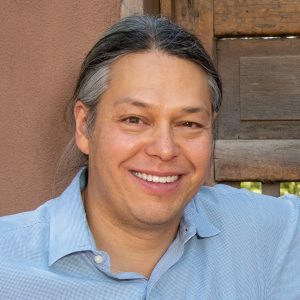 Ned Blackhawk (Western Shoshone) is a Professor of History and American Studies at Yale University where he is the faculty director for the Yale Indigenous Performing Arts Program, the Native American Language Project, and the Yale Group for the Study of Native America. He served on the faculty from 1999 to 2009 at the University of Wisconsin, Madison, earning tenure in 2005. A graduate of McGill University, he holds graduate degrees in History from UCLA and the University of Washington and is the author of Violence over the Land: Indians and Empires in the early American West (Harvard, 2006), a study of the American Great Basin that garnered half a dozen professional prizes. He has published nearly two dozen articles, chapters, and/or review essays, including state of the field essays for the American Historical Association and the Organization of American Historians. 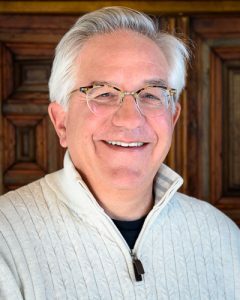 In addition to serving in professional associations and on the editorial boards of American Quarterly and Ethnohistory, Professor Blackhawk has led the establishment of two fellowships, one for American Indian Students to attend the Western History Association’s annual conference, the other for doctoral students working on American Indian Studies dissertations at Yale named after Henry Roe Cloud. Professor Blackhawk was the Katrin H. Lamon resident scholar at SAR in 1996-97 and a SAR short seminar participant in 2004. Donald Brenneis is a linguistic and social anthropologist at the University of California, Santa Cruz. He received his Ph.D. from Harvard. His work has focused on the social life of communicative practices – linguistic, musical, performative, and textual. In the earlier part of his career he worked in diasporic south Asian communities in Fiji, focusing on the complexities of language, conflict, and social life – and on practices ranging from religious rhetoric to gossip. More recently he has been doing ethnographic work in research funding and higher educational policy-making institutions, both as participant and as observer. Don taught at Pitzer College from 1973-1996 and has been at UCSC since 1996. 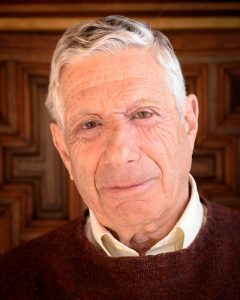 He edited American Ethnologist from 1990-94, served as President-Elect and President of the American Anthropological Association (1999-2003), was on the editorial board of the University of California Press, and has participated extensively on funding panels and on various assessment committees. He has been a Visiting Scholar at the Carnegie Foundation for the Advancement of Teaching, a Fellow of the Center for Advanced Study in the Behavioral Sciences, and a Fellow of the Lichtenberg Kolleg, University of Goettingen. Michael F. Brown is the President of SAR. He received his A.B. degree from Princeton and a Ph.D. in cultural anthropology from the University of Michigan. He served on the faculty of Williams College, Williamstown, Massachusetts for 34 years, during which time he was awarded research fellowships by the National Endowment for the Humanities, the Smithsonian Institution, and the Institute for Advanced Study. At SAR, he was a resident scholar and a participant in two advanced seminars. Brown is the author of six books. 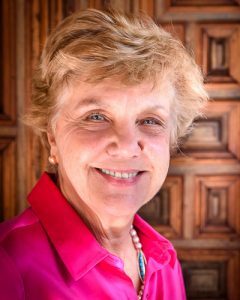 Anne Chognard is a retired California attorney who has been coming to Santa Fe since the early 1990’s. 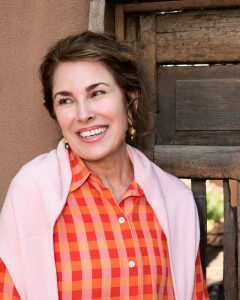 She lived in San Francisco for 20 years prior to moving to Santa Fe in 2016 with her husband, James. Anne spent the bulk of her 20 year legal career practicing insurance defense litigation in both Northern and Southern California. She is accustomed to working with a variety of people and finding solutions to accommodate various points of view. In her later years, she worked in house for an insurance company auditing attorneys across the country who worked for the insurance company. She has served on the Boards of two Homeowners Associations as well as the Board of the Nob Hill Association, a community nonprofit in San Francisco. Past volunteer work includes working in schools, helping the homeless in San Francisco and working in the office of a San Francisco Supervisor. In her spare time, Anne likes to travel, attend opera, read and garden. She has recently completed her orientation to enable her to volunteer with the Santa Fe Animal Shelter. Anne was admitted to the California Bar in 1984 and the New Mexico Bar in 1993. Ken Cole is Senior Advisor, Pfizer Inc, and is based in Washington, DC. From 2010-2018, Ken was responsible for the company’s government relations activities, including its public affairs; grassroots/political action committee programs; alliance development and think tank outreach. Prior to joining Pfizer, he served as Vice President of Global Public Policy and Government Relations at General Motors for a decade. Previously, he was Corporate Vice President, Government Relations, for AlliedSignal from 1983 and later Honeywell. He joined Allied Corporation in 1981 in its Union Texas Petroleum subsidiary in Houston as Vice President, Public Affairs. Prior to that, he had an eight-year career with Standard Oil of Indiana, as Regional Vice President, Public and Government Affairs in Denver and Houston. Ken has chaired several national coalitions promoting international trade, a balanced federal budget, campaign finance reform, and funding for research in electric vehicles. He is a past President of NABPAC and the Business-Government Relations Council. He has chaired the board of directors of a number of industry trade associations and charitable organizations during his thirty-five year career in Washington, D.C. He is an attorney and a graduate of the University of the Texas at Austin. Susan Foote is an historian with deep interest in 17th- and 18th-century Britain. 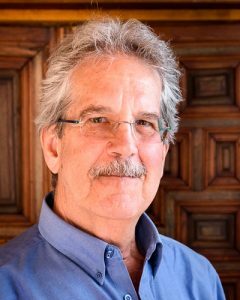 Brian Foster is Provost Emeritus and Professor of Anthropology Emeritus at the University of Missouri–Columbia. He has a Ph.D. from the University of Michigan in Anthropology. He has served in several administrative roles: Department Chair, Graduate Dean, A&S Dean, and Provost. His research has focused on minority traders in Thailand, on social network analysis, and more recently on Anthropology of Higher Education. He has served on boards (e.g., TOEFL and GRE) and in numerous other roles in higher education organizations. Dr. Meg Lamme, APR, is a professor emerita, The University of Alabama, Tuscaloosa. She has 15 years of public relations experience in the corporate, nonprofit, and government sectors and an additional 19 years in higher ed, teaching public relations and researching the history of the field. 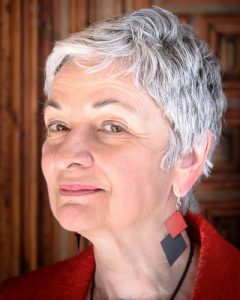 She is the author or co-author of more than 35 academic publications, including two award-winning books and a monograph, which was translated into Spanish and published by Universitat Oberta de Catalunya Press, Barcelona. She serves on the editorial board of the Women in American Political History Series, Lexington Press, and she has been Accredited in Public Relations since 2001. 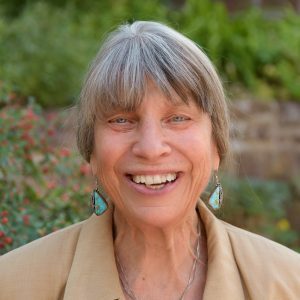 Dr. Louise Lamphere is a Distinguished Professor of Anthropology Emerita at the University of New Mexico and Past President of the American Anthropological Association (1999-2001). Lamphere received her Ph.D. from Harvard in 1968. She was a faculty member at UNM from 1976-1979 and again from 1986-2009. 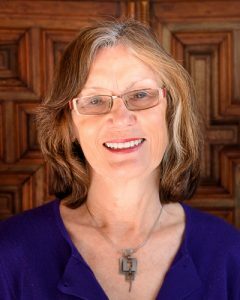 She has published extensively, co-authored and co-edited books and articles on subjects as diverse as Navajo kinship and collaboration, women and work, urban anthropology, and immigration. Her most recent book is a biography of three Navajo women entitled: Weaving Women’s Lives: Three Generations in a Navajo Family, (2007). She has studied issues of women and work for 25 years, beginning with her study of women workers in Rhode Island industry in 1977. Lamphere was the co-editor, with Michele Zimbalist Rosaldo, of Woman, Culture, and Society, the first volume to address the anthropological study of gender and women’s status. Professor Lamphere conducted research on Medicaid Managed Care Reform (1998-2000) and Behavioral Health Reform (2005-2010) in New Mexico. She has edited a special issue of Medical Anthropology Quarterly, Providers and Patients Respond to Medicaid Managed Care: Ethnographic Insights from New Mexico, March 2005, as well as co-authored several articles. In 2013, she was awarded the Franz Boas Award for Exemplary Service to Anthropology from the American Anthropological Association and the Bronislaw Malinowski award by the Society for Applied Anthropology in 2017. Ann Alexander Morton, a native Oklahoman, received a B.A. in Journalism from the University of Oklahoma, and an M.A. in Media Studies from The New School University, New York City. She has a minor in French and has pursued language studies in France and Mexico. Her professional background is in public relations, communications, marketing, writing and design, most recently for the firm 12MO, a book-to-film company. 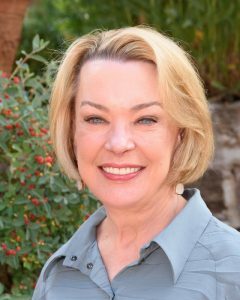 She has been an active volunteer in Houston, Atlanta, Santa Fe, New York City and Fort Worth, including 36 years with the Junior League. She was the Founder and First President of the National Charity League Buckhead Chapter in Atlanta following chapter leadership positions in Houston. 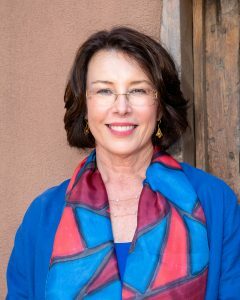 She has previously been active as a docent at Santa Fe’s Museum of International Folk Art and with the Governor’s Circle of the Museum of New Mexico Foundation and served on the board of the School for Advanced Research and was active in SAR’s President’s Council prior to board service. 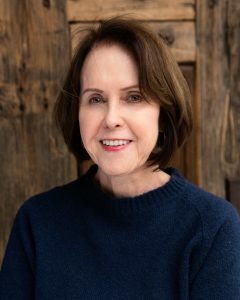 She is currently active in Leadership Fort Worth and is a docent and patron at three art museums in Fort Worth: the Amon Carter Museum of American Art; the Kimbell Museum; and the Modern Art Museum. Marcus Randolph is Chairman of Boart Longyear, the world’s largest minerals drilling services and equipment provider. Until September 2013, he was Chief Executive of Ferrous and Coal for BHP Billiton in Melbourne, Australia. Earlier in his career he was Chief Executive Officer, First Dynasty Mines in Singapore; Mining and Minerals Executive, Rio Tinto in London; and had various mine operating positions with Asarco Inc. in Peru and the US. Randolph holds an M.B.A. from Harvard and a B.Sc. in Mining Engineering from the Colorado School of Mines. 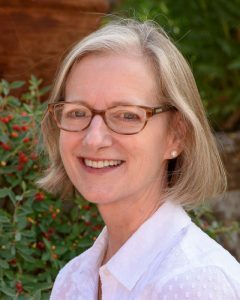 Julie S. Rivers is a resident of Santa Fe and an attorney associated with the Santa Fe firm of Cuddy & McCarthy, LLP. She is licensed by the New Mexico and Oklahoma bars. Her areas of expertise include estate planning, mediation, litigation and real property law. She earned a B.S. in English Education in 1984 from Oklahoma State University and a Juris Doctorate in 1992 from the University of Oklahoma Law School. She was an editor of the American Indian Law Review, a member of the Oklahoma Law Review and served as an adjunct professor in family at the University of Oklahoma Law School’s Legal Assistant Program. 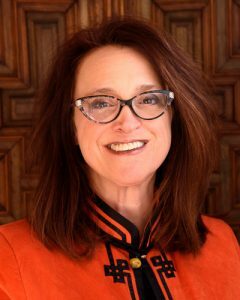 She serves on the MCLE Commission Board of the New Mexico Bar Association, on the board of the Santa Fe Estate Planning Council, and is a member of both the Rotary Club of Santa Fe and the Trusted Advisors Network. She is a 2015 graduate of Leadership Santa Fe. She is also a guest lecturer at Santa Fe Community College. James W. Robins was born in Baltimore, Maryland, graduating from The Gilman School in 1966. 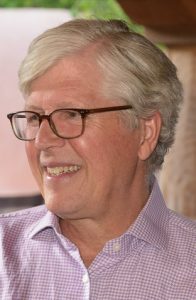 Jim received his BA in American literature in 1970 from Columbia College in New York City; worked for one-and-a-half years as a staff writer for PBS in Baltimore; then received his MS in Journalism in 1973 from the Columbia University Graduate School of Journalism. From 1973 through 1978, Jim worked as a reporter for The Associated Press in Buffalo; Albany; Helena, MT; and Philadelphia, followed by one year at The Wall Street Journal in Dallas, TX. In 1979, Jim joined his father Charlie, a Cleveland, OH, banker. The two established The Robins Group, Inc., based in La Jolla, CA, and set about acquiring small, profitable Midwest manufacturing companies. Jim’s younger brother Jere joined the team in 1983. Jim retired in 2017, turning management of the two remaining group companies over to his brother with Jim’s participation as strictly advisory. Jim, his wife Barbara and their Australian Shepherd dog Cisco live in Santa Fe, where they completed a home in 2001. Jerry Sabloff received his Ph.D. In anthropology from Harvard University and his B.A. in anthropology from the University of Pennsylvania. 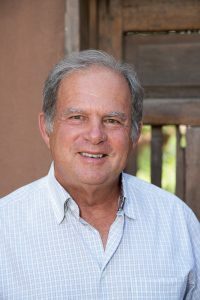 He is the Christopher H. Browne Distinguished Professor of Anthropology, Emeritus at the University of Pennsylvania and an External Professor and Past President of the Santa Fe Institute. He is an archaeologist with particular interest in the ancient Maya and has written or edited more than 20 books and monographs (including 4 SAR volumes). 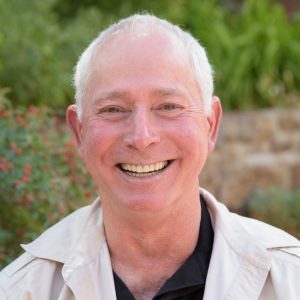 Scott Sheffield, a distinguished graduate of The University of Texas at Austin with a Bachelor of Science in Petroleum Engineering, is Chairman of Pioneer Natural Resources. Mr. Sheffield retired in 2016 as CEO after leading Pioneer for 31 years from a $32 million company to a $32 billion company with over 3500 employees. Pioneer is considered a leader in developing oil shale with primary focus in the second largest oil field in the world; the Spraberry Wolfcamp Field in West Texas. 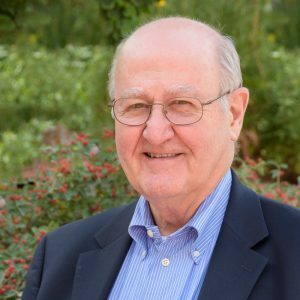 Besides Pioneer, Mr. Sheffield serves on the board of Williams Companies, the Maguire Energy Institute of the SMU Cox School of Business and Columbia University’s SIPA Center on Global Energy Policy. Gregory A. Smith is a partner with Hobbs Straus. He received his J.D. from Cornell Law School and a B.A. from Yale University. Greg has represented Indian tribes and tribal organizations as an attorney and as a government affairs specialist for nearly twenty years. He has also represented his clients on a wide range of matters before virtually every major Federal agency. Greg has advised tribes on the drafting of constitutions, civil and criminal codes, as well as gaming-related contracts and related ordinances and regulations. He has also assisted a number of tribes on economic development and cultural protection matters. Diane Stanley Vennema is the author and/or illustrator of more than fifty books for children and young adults under her maiden name, Diane Stanley. She is a graduate of Trinity University and received her MA from the Johns Hopkins University College of Medicine. She worked as a medical illustrator, a graphic designer for Dell Publishing, and art director at G. P. Putnam’s Sons before turning to children’s books. She is noted especially for her series of thirteen picture book biographies. Shaka, King of the Zulus was chosen as a New York Times Best Illustrated Book and Leonardo da Vinci received the Orbis Pictus Award for Outstanding Nonfiction from the National Council for Teachers of English. Twelve of her books have been honored as Notable Books by the American Library Association and she has twice received both the Boston Globe/Hornbook Award and the Society of Children’s Book Writers’ Golden Kite Award. She was the recipient of the Washington Post/Children’s Book Guild Award for Nonfiction for the body of her work. Her artwork has been displayed at the National Museum for Women in the Arts and is part of an exhibit on Africa in the Museum of Natural History in Washington, DC. Dorothy H. Bracey has a Ph.D. in social/cultural anthropology from Harvard University and M.S.L (Master of Studies in Law) from Yale Law School. She taught Anthropology of Law at John Jay College of Criminal Justice (CUNY) where she is Professor Emeritus. In addition to other Visiting Professorships, she held the George Beto Chair at Sam Houston State University. She was President of the Academy of Criminal Justice Sciences, which has recently established an award in her name. She has been Vice-Chair of the Museum of New Mexico Foundation and Treasurer of the Institute of American Indian Arts Foundation. 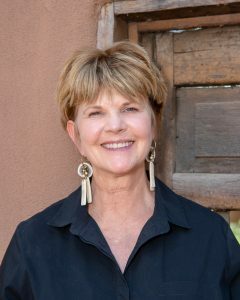 Bracey recently received a New Mexico Historic Preservation Award for her leadership of the Palace of the Governors Windows on History project. Although popularly known as a mainstay of the PBS programs Antiques Roadshow and History Detectives, Wes Cowan is first and foremost an American. After receiving a Ph.D. from the University of Michigan, he taught in the Anthropology Department of Ohio State University. In 1984, he moved to Cincinnati to become curator of archaeology at the Cincinnati Museum of Natural History & Science. 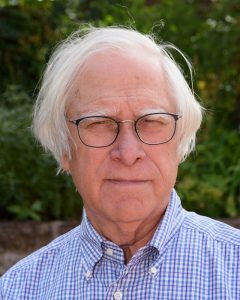 Cowan has published widely in the fields of American archaeology and paleoethnobotany. In 1995, he left academia and the museum world to follow his childhood love of antiques, opening Cowan’s Auctions, Inc., in Cincinnati, OH. Don Lamm joined W.W. Norton & Company, Inc. as an editor in 1956, and retired in 2000 as chairman and president. From 1984 to 2000 he was chairman of Yale University Press. He has stewarded hundreds of books as a publisher and an agent. Lamm was first affiliated with Carlisle & Co. literary agents from 2000–2003, and he is currently with the NYC agency of Fletcher & Parry LLC. In 1998 he spent a year as a fellow at Stanford’s Center for Advanced Study in the Behavioral Sciences. 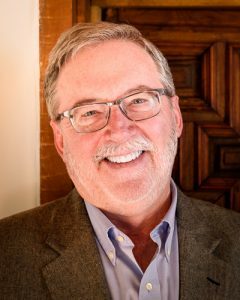 Doug J. Preston is the author or co-author of more than forty books, among them the non-fiction works The Lost City of the Monkey God and The Monster of Florence as well as the best-selling Pendergast novels (in collaboration with Lincoln Child). He has also contributed articles to the New Yorker, National Geographic, the Atlantic Monthly, and other national magazines. Preston serves on the Board of Governors of the Authors Guild and is a Fellow of the Royal Geographical Society. He divides his time between New Mexico and Maine. Lynne Withey received her Ph.D. in history at the University of California, Berkeley and her A.B. in American Studies from Smith College. She is the retired director of the University of California Press, publisher of scholarly books and journals affiliated with the University of California system. John S. Catron received a Juris Doctor degree from the University of New Mexico Law School in 1951. He served as an Assistant District Attorney in the Fourth Judicial District of New Mexico from his graduation until 1953. He then went into private practice of law with the Santa Fe law firm of Catron, Catron, and Pottow, P.A. 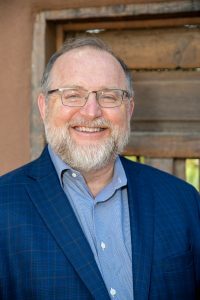 He served on various New Mexico Supreme Court and State Bar Committees, on the Bioethics Committee at St. Vincent’s Hospital, and as an officer and director of the Santa Fe Animal Shelter and Humane Society. He served as Chairman of the Board of Managers of SAR from 1994 until 1997. William S. Cowles was born in 1923, and graduated from Yale University with a B.A. and from MIT with a Bachelors degree in architecture. He served as a destroyer gunnery officer and navigator in World War II. Mr. Cowles was in the general practice of architecture in Vermont and was a commercial apple grower from 1946 to 1975. He has served as Secretary of the Vermont Human Services Agency, Chair of the Vermont Environmental Board, and Chair of the Vermont Medical Center Hospital Board. He was a founder and architect of the Sugarbush Valley ski area. In 1976, he and his wife Virginia bought and developed Pine Cay in the Turks and Caicos Islands, British West Indies, as a socially and environmentally responsible resort. After moving to Santa in 1984, they established Los Trigos Ranch in Rowe, New Mexico, where Virginia raised Norwegian Fjord horses. 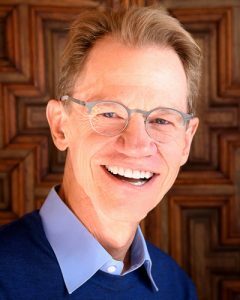 Mr. Cowles has been a board member of Cornerstones Community Partnerships, the Wheelwright Museum, the Santa Fe Community Foundation, the National Dance Institute of New Mexico, the Santa Fe Conservation Trust, and a founder of EGIS (Elders Getting Information and Services). Flora C. Crichton has formerly served on the Board of The East-West Center in Honolulu, Hawaii; the boards of Sweet Briar College and Trinity University; and the Board of Governors of the M.D. Anderson Cancer Centers Association. She was an active member of the National Council of the Georgia O’Keeffe Museum and president of the Flora Cameron Foundation. Before his retirement in March 2016, Eric Dobkin was an advisory director at the Goldman Sachs Group, where he had also served a term as Managing Director. In reporting on his retirement, the New York Times referred to him as “the father of the modern I.P.O.” In addition to his distinguished service to SAR, Dobkin is a member of the board of governors of The Museum of Arts and Design in New York. He lives with his wife, Barbara, in Pound Ridge and Manhattan, New York. Since 2001, Eric and Barbara Dobkin have supported one of SAR’s Native artist positions, the Eric and Barbara Dobkin Native Artist Fellowship for Women. David W. Matthews is retired from Healy-Matthews Stationers, Inc., in Santa Fe, which he founded in 1956. The company was sold in 1997. He served as president of the National Office Products Association from 1977 to 1978. 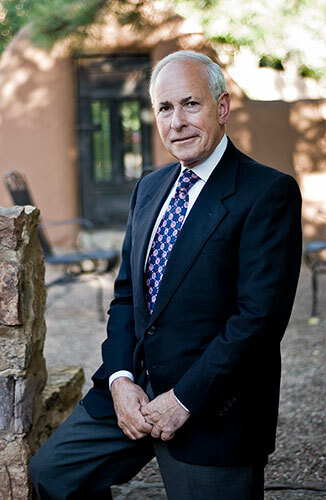 For over 20 years, he served on the Board of Directors of Sunwest Bank of Santa Fe, the last five years as chairman. He served on the Board of Directors of Sunwest Financial Services, the holding company for the Sunwest Banks. He is a retired board member of Century Bank of Santa Fe, and has served on the Foundation Board of the Museum of International Folk Art. David graduated from the University of New Mexico in 1954 with a B.A. in Languages. Upon graduation, he served two years active duty as a Lieutenant in the U.S. Marine Corps. Jim Snead has two sons, James and Greg, and two daughters-in-law, Monica and Laura, and two granddaughters, Emily and Molly, and one grandson, Aidan. 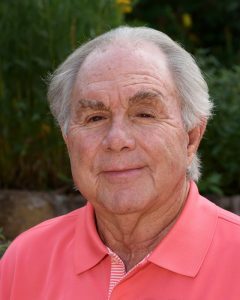 He is Chairman of the Board and Senior Shareholder of The Jones Firm, a general practice law firm established in Santa Fe in 1948. He has handled everything from murder cases to nonprofit corporations, but his chief love professionally is representing individuals and small businesses in estate planning, real estate transactions, intellectual property, and other business matters. Jim was born in Oklahoma, but his childhood was mainly spent in Hobbs, New Mexico. He earned a B.S. in Electrical Engineering from the University of New Mexico, and then went to Washington, DC, where he worked for the Patent Office, the Navy, and NASA. He earned a Juris Doctorate (with honors) from George Washington University. Betty M. Vortman was a native of rural Northeast Missouri, where she received a B.S. degree in Education from Northeast Missouri University (now Truman University). She retired from Sunwest Bank (now Bank of America) as Senior Vice President. Her final years were spent at La Vida Llena Retirement community in Albuquerque. A remembrance of Betty and her remarkable contributions to SAR can be found here.